Just before Christmas, after only being able to watch it in bits and pieces during October and November, I finally had the chance to take in the documentary film Hating Breitbart in one sitting. What prompted me to do so was some unfortunate news, namely a lawsuit filed by the immensely talented Dana Loesch signifying that the late Andrew Breitbart's nascent publishing empire may be imploding. I hope I'm wrong about that, but based on my limited conversations with him when he was alive and my observations from afar, I completely agree with those who say that Andrew never would have let things get to this point. That whoever is currently running things at Breitbart has allowed such a deterioration to occur seems not to bode well for the operation's long-term success, or even its survival. While viewing the film, I could not help but wonder whether November's presidential election might have turned out differently if Andrew had not died on March 1. Despite all the establishment press hype about Barack Obama's "convincing" victory, the fact remains that he won with a smaller percentage of the popular vote (50.6%) than every successful incumbent in the past century except three, all Democrats who failed to achieve popular vote majorities: Bill Clinton in 1996, the second time he won with only a minority of the popular vote; Harry Truman in 1948 in a four-way race; and Woodrow Wilson in 1916. 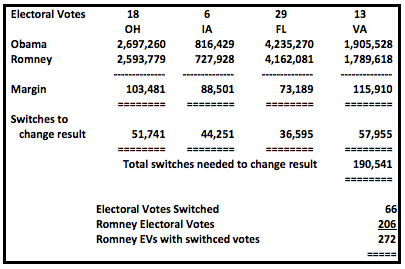 Fewer than 200,000 switched votes in four battleground states would have changed November's outcome to a Romney win. Breitbart is one of the main reasons why a Republican candidate, and especially one who we have since learned really didn't want to run for the office, even had a ghost of a chance against Obama. That's because in September 2009, as Hating Breitbart demonstrates, he ensured that filmmaker James O'Keefe's undercover videos at ACORN locations throughout the country would receive the visibility they deserved. But he did much more than that. His slow-drip approach to releasing the videos baited ACORN head Bertha Lewis into repeatedly claiming that O'Keefe had exhausted his supply of damning material. Every time Lewis said that, another outrageous, offensive, scandalous, and embarrassing episode would appear. After desperately trying to ignore the story in its first few days, the press went into gullibly relaying Lewis's spin, along with her bogus charges that O'Keefe's work was "heavily edited" (even though he, unlike his critics, posted his raw footage), that he was somehow racist, and that what he was doing was somehow not legitimate "journalism." This last point particularly reeked of hypocrisy. ABC's Food Lion debacle in the 1990s involved undercover reporters acting as participants and egging on reluctant fellow employees to do things they wouldn't have otherwise wanted to do. By contrast, O'Keefe and partner Hannah Giles merely posed as clients (a pimp and his prostitute) needing help, and watched ACORN employees freely reveal the degrees of treachery, criminality, and exploitation they would shamelessly support. Thanks to O'Keefe's work and Breitbart's strategy, ACORN went from being one of the most untouchable leftist front groups in the country to a defunded pariah in Washington forced to suspend its operations in less than ten days. A few months later, it was out of business as a national organization. At the same time, Breitbart and O'Keefe completely exposed the knee-jerk leftist instincts of the establishment press. I'm not naive enough to believe that ACORN's demise meant the end of the left's efforts to rig voting, but it slowed them down considerably. A full-blown entrenched ACORN juggernaut in 2012 would have made it difficult for even the second coming of Ronald Reagan to compete. The movie also shows that without Breitbart, the obviously orchestrated "N-word" and spitting lies surrounding events on the day ObamaCare passed in March 2010 might have stood. Democrats had hoped to bait Tea Party-sympathetic demonstrators at the Capitol into saying or doing something racist or offensive by marching several African-American congressmen right through the crowd. When nothing other than shouts of "Kill the Bill" happened, Andre Carson, John Lewis, and the others just made stuff up. Breitbart demanded recorded proof that anyone ever said the N-word (let alone 15 times, as Carson claimed), and offered a princely sum to anyone among the thousands who were there with cellphones and cameras recording what was going on who could provide it. Nobody did, because it didn't happen. What Breitbart understood, and what all too many establishment Republicans and even conservatives don't, is that there is no accommodating the left, and there is no hope of receiving fair treatment from the left-dominated establishment press. The left is hellbent on fundamentally transforming the country into a socialist utopia which has never succeeded anywhere it has been tried, and the press is determined to help them do that. Folks, no matter what you do, they're going to hate you (and hate is the right word). So you might as well do the right thing and follow your beliefs and principles (John "Plan B" Boehner, please note). This country now has a government headed by the most radical president in U.S. history, one with the worst economic record since Franklin Delano Roosevelt's New Deal extended the Great Depression by eight years. He nevertheless won reelection largely because his opponent conceded too much ground and wouldn't fight hard enough for what remained. Barack Obama and the left believe they have only just begun. Sensible, Constitution-anchored conservatives need to start acting as an army of Breitbarts.